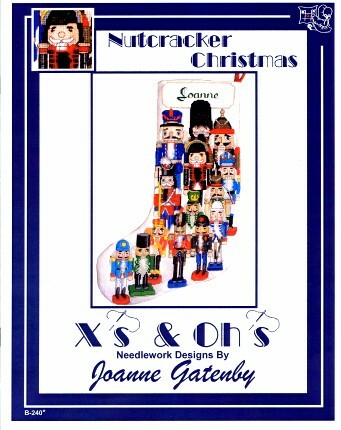 X's & Oh's Nutcracker Christmas Stocking Cross Stitch Pattern: Cover model is stitched on 28ct Hand-dyed Queen Ann'es Lace Jobelan. DMC floss is used. Designed by Joanne Gatenby.